Chris's Digital Detritus | Videotext for the twenty first century. 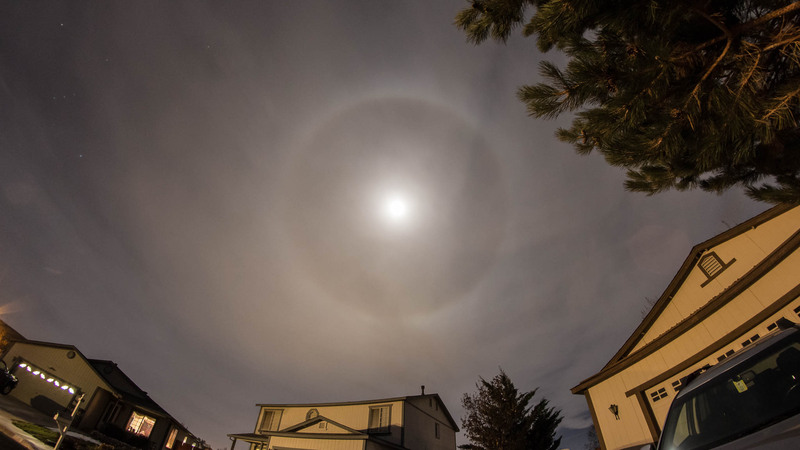 The 22° moon halo is caused by tiny ice crystals in the upper atmosphere refracting the light on its way to our eyeballs (or my camera). There’s a faint glimpse of Orion in the upper left.